One of my favorite things to report on each year are the promotional programs that go on during the National. Because who doesn’t love free stuff? There are a few different ways you can look at the giveaways. The first is straight and simple. Its the National and they’re giving away stuff to those collectors opening their products. The second gets a little deeper into thought. Why are those specific products required to participate in the programs? The National is a great place for dealers to unload products that may not be moving very well. 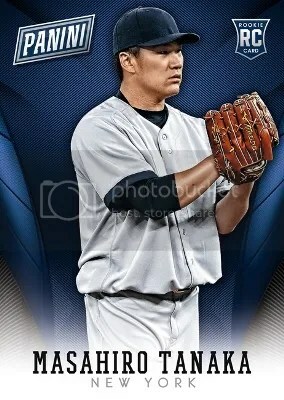 Now, this train of thought in my opinion doesn’t flow with Upper Deck or Topps products. They do promotional programs with popular products. Panini on the other hand forces you to buy crap products in order to take part. This is why I never participated in any of their programs last year. 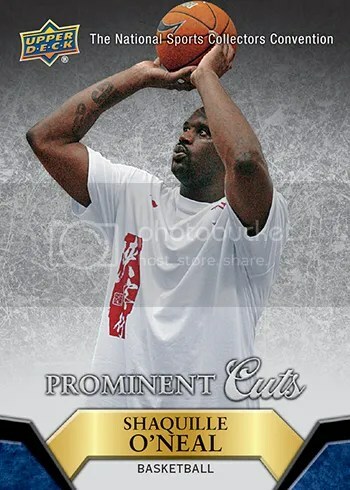 I’m still surprised that Upper Deck has never made specially made Precious Metal Gem parallels for the National. I think they would go over well. They made some for the Industry Summit a few years ago. With all that being said, here are the wrapper redemption programs that Upper Deck has planned so far for the 2015 National. More info can be found on Upper Deck’s blog. 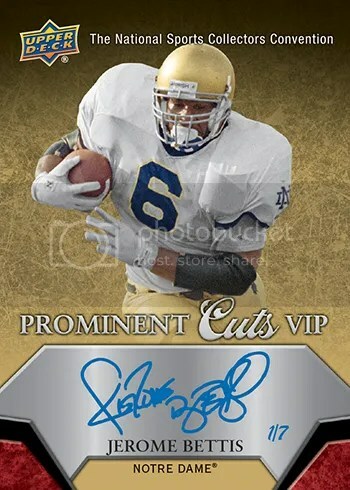 Prominent Cuts packs will contain randomly inserted autographed cards. 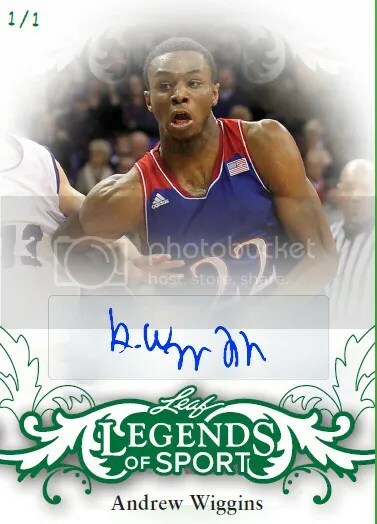 Plus Upper Deck has included six one-of-one cut signatures of deceased Chicago legends. 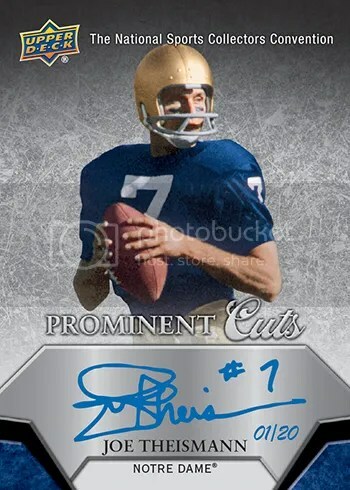 Unlike previous years, it is possible to put together a complete Prominent Cuts set all in one day. 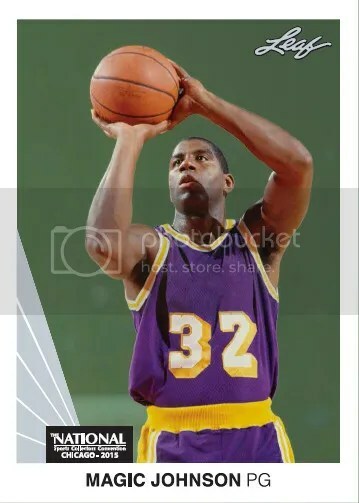 Although you would have to open a lot of stuff and probably trade with others, Upper Deck isn’t giving out specific cards on certain days. 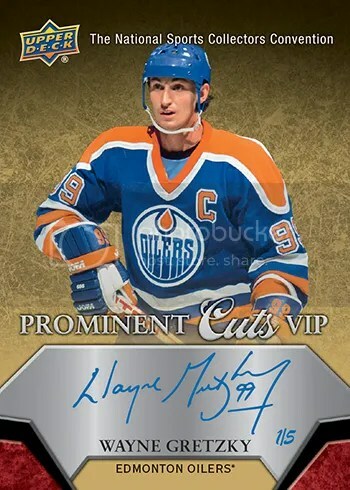 If you buy (1) pack of the following products you will receive (3) 2015 Upper Deck Prominent Cuts Promotional Packs. This program will start at 10:00 a.m. each day and run while supplies last. You can use the program up to four times per person, per day. For each case that is opened, you will receive (10) 2015 Upper Deck Prominent Cuts Promotional Packs and (1) Case Breaker Raffle Ticket. The raffle ticket is good for a random memorabilia item, premium hobby pack/box, premium trading card, or Prominent Cuts VIP Autograph card. Whatever you pick will be available right away. 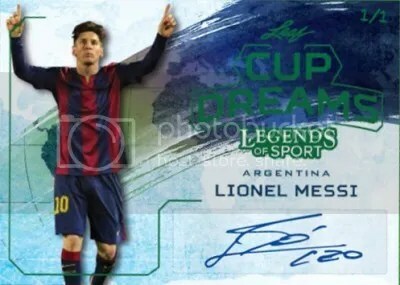 This promo is only available to the first 75 collectors who wish to take part in it. 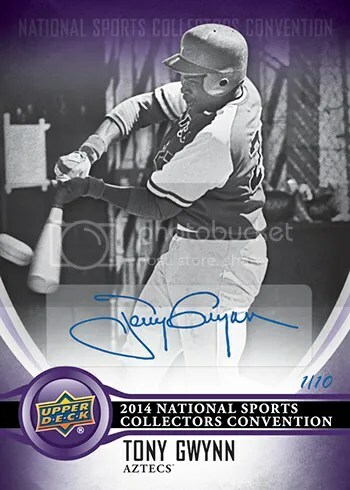 Upper Deck may have been quiet when it came to their plans for the 2014 National Sports Collectors Convention, but the silence is gone. 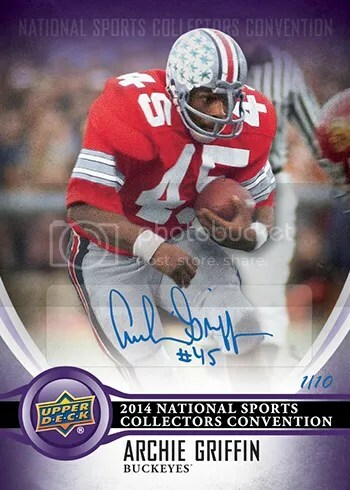 Upper Deck has fully unveiled what they have in store for collectors… and its a lot! 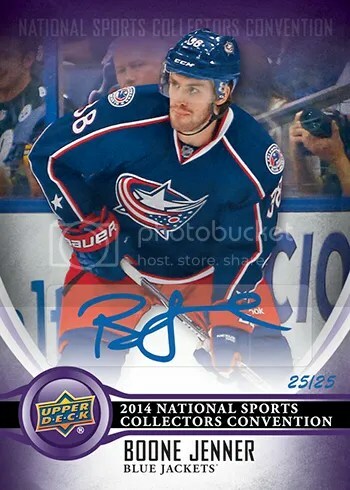 For a full run down on things, check out Upper Deck’s Blog. But here are some of the things that stick out to me. I’m going to do something I rarely do, and that’s copy and paste info from one blog to another 🙂 Upper Deck really says it best anyway. 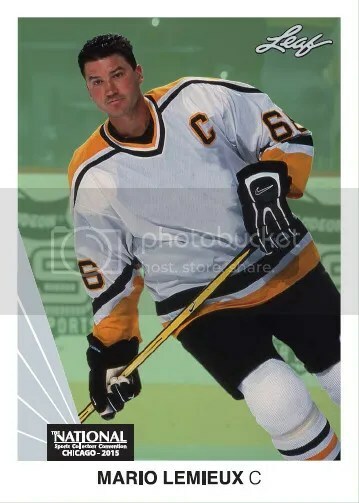 One of these years I’d like to see Upper Deck make some National exclusive Precious Metal Gems parallels. 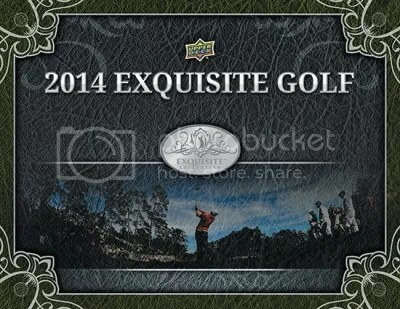 Its about time collectors see a high-end golf product like Exquisite. 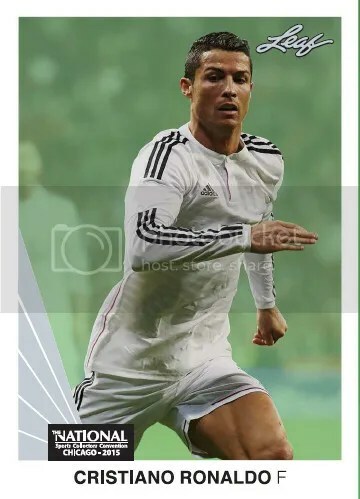 I’m really looking forward to seeing what those cards look like. Wednesday VIP Party – Upper Deck will help get the show started by making a special presentation at the Wednesday VIP Party to thank the company’s network of dealers in attendance at the show. 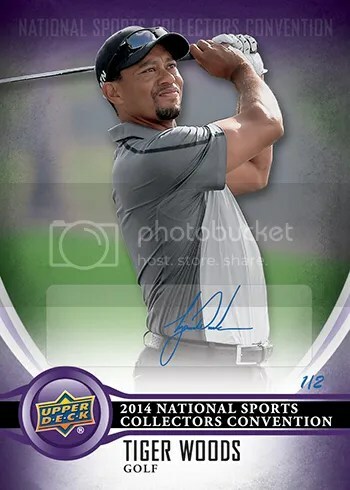 Fans in attendance will also score with a special 6-card VIP set produced exclusively for the National Sports Collectors Convention and they will also have the opportunity to win one of three sealed packs of the new 2014 Upper Deck Exquisite Collection Golf! 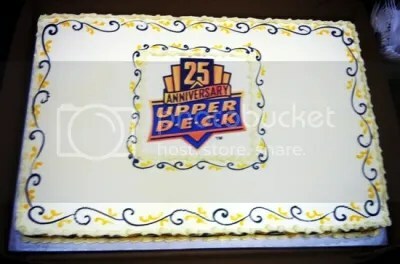 Immediately after the VIP Party fans are invited to visit the Upper Deck booth for birthday cake to help celebrate Upper Deck’s 25th Anniversary and an incredible FREE giveaway you will not want to miss! Wrapper Redemption Promotion – Every year fans flock to the Upper Deck booth with new packs to score one of the exclusive wrapper redemption packs produced just for this show. 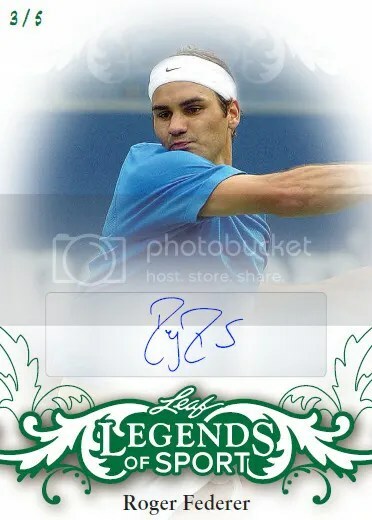 Randomly inserted into these packs are incredibly limited autograph cards of top stars from the world of sports. 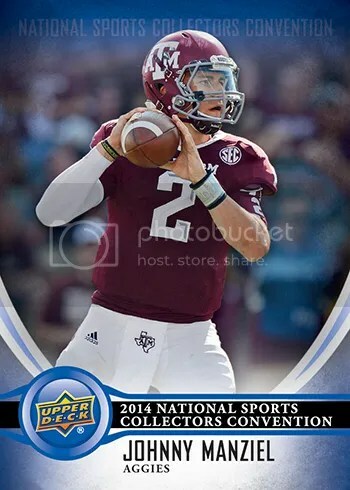 Collectors just need to purchase five (5) packs of 2013 Fleer Retro Football, 2014 SPx Football, 2014 Upper Deck Football (Hobby), 2013-14 Fleer Retro Basketball, 2013-14 SP Authentic Basketball, 2013-14 NHL SP Authentic, 2014 SP Authentic Golf, 2014 Goodwin Champions OR one (1) pack of 2014 SP Game-Used Golf to receive one (1) 2014 Upper Deck National Sports Collectors Convention Pack. 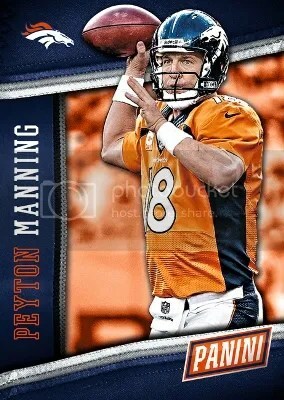 EVERY 25TH COLLECTOR WILL RECEIVE A FREE FLEER RETRO AUTOGRAPH PACK FROM FOOTBALL OR BASKETBALL! 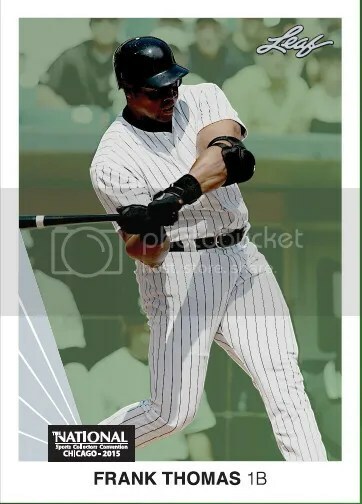 These packs must be purchased from a Certified Diamond Dealer who will provide collectors with an Upper Deck issued voucher for the redemption program. The program will begin at 10:25 a.m. each day starting on Thursday and run as long as supplies last. Collectors can take advantage of the promotion up to four times per person, per day. 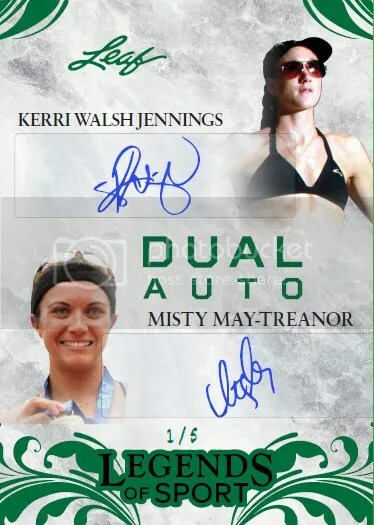 (1) Case Breaker Raffle Ticket good for a random memorabilia item, premium hobby pack/box, trading card, or one of 25 premium National Autograph cards. The item selected will be immediately available to the participant. *Note: This promotion is only available to the first 75 collectors who choose to take advantage of it. 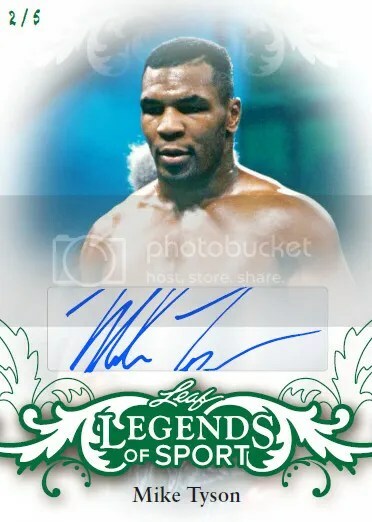 The Exquisite Case Break – On Friday at 2:00 p.m. fans in attendance will want to make their way to the Amazon.com Sports Collectibles Center Stage for an extremely special event. Fans who are not at the show can watch through Upper Deck’s BreakersTV Channel. Upper Deck will bring up two of the company’s Authorized Group Breakers to help out with this special event in Steel City Collectibles along with Dave & Adam’s Card World, but spots in the break will be absolutely FREE and awarded during a special raffle at the company’s booth on Thursday night at 5:25 p.m. What will make this such an “exquisite” event is that Upper Deck will be breaking the company’s most premium products with 2013 Exquisite Collection Football and 2014 Exquisite Collection Golf. 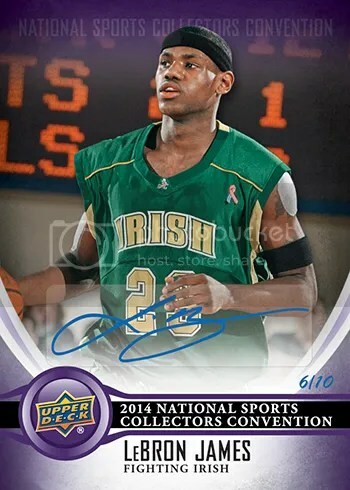 VIPs attending the 2014 National Sports Collectors Convention in Cleveland this year will find a 5-card set in their package thanks to Press Pass. 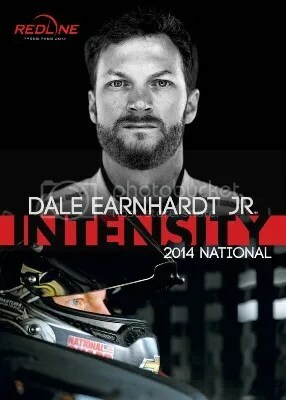 The set will include Dale Earnhardt, Jr, Danica Patrick, Tony Stewart, Jeff Gordon, and Jimmie Johnson. 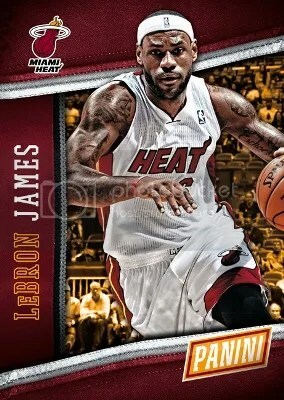 Collectors can also take part in Press Pass’s wrapper redemption program too. In order to participate, all you need to do is purchase a hobby box of 2014 Press Pass NASCAR cards ON THE SHOW FLOOR (sounds like they might be using a voucher program like Upper Deck has done in the past). 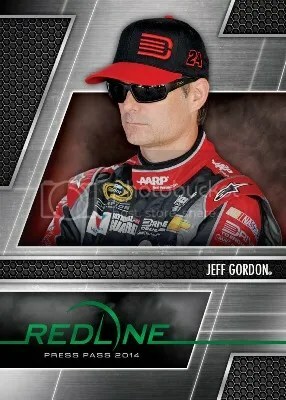 In return, you’ll receive a single-card, blind-packaged pack that will contain either a special National exclusive Redline parallel #’ed to 5 or an autographed card. All of this takes place at the Beckett booth. That makes me wonder if Press Pass will even have a booth of their own. I guess we’ll see.